2. Slice Spam into 8-9 slices. 3. Heat non-stick skillet over medium heat. Panfry until browned on both sides. 4. Turn heat to medium-low and sprinkle Spam with sugar. Add water and soy sauce and flip the Spam slices over a few times to coat . 5. Turn heat to medium-high and continue turning Spam slices occasionally until liquid has evaporated and Spam has caramelized. Turn off heat and set aside. 6. 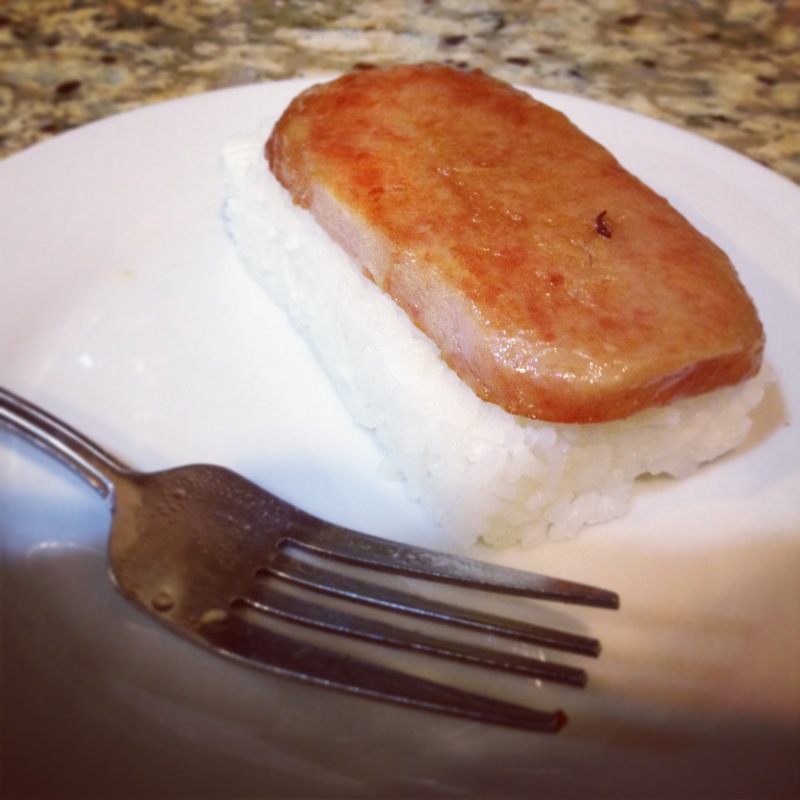 Using the Spam musubi mold, assemble the musubi: place mold on top of the middle of a strip of nori, place Spam at the bottom of the mold, scoop some rice into the mold, press rice into a rectangle, then remove the mold and press nori so it sticks to rice, wrapping the musubi. Flip so Spam is on top. Repeat. 1. Heat vinegar, sugar, and sake-mirin in a sauce pan until sugar is dissolved. Allow to cool to room temperature. 3. Poor vinegar mixture over rice and mix to combine. Let rice rest for 10 minutes. this is why i read your blog. the true college experience made gourmet.